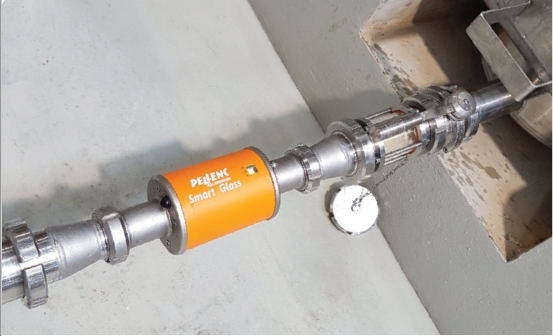 Smart Glass is an intelligent, connected sensor for automatic control of liquid transfers..
• A pump pilot module for controlling the pump. 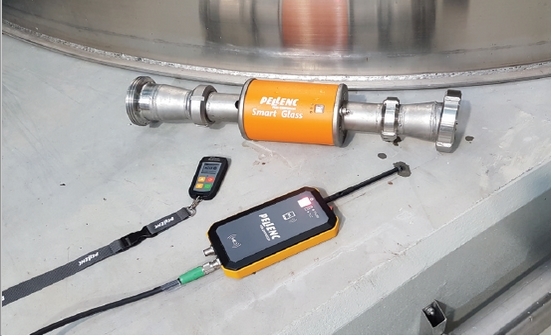 The pump pilot receives data from the remote control or from Smart Glass. Smart Glass will detect a change in the liquid and notify the operator. 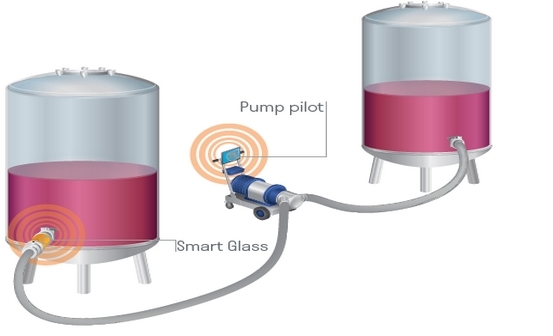 If Smart Glass is paired with a pump pilot, it will send an order to stop the pump if it detects any change in the liquid. • Separation: racking - water drive - air detection. • Safe transfers: detecting gases (air or others). • Preservation of the organoleptic quality of the wines: detecting air intake, phase change during racking, settling or water-drive. • Homogeneity of an assembly. • Optimisation of cellar work: no need to stay by the vat during a transfer. • Optimisation of cellar resources. • Parameters set as required. • Automatic pump control (if paired with pump pilot). • Simple technology for use with many applications.